Mattel France has put up the 2018-2019 poster (LINK HERE for full res PDF). Thanks, “Nico A.” for the heads up! Normally. we will have transitioned to the year 2019 already but with so many releases left, it now seems likely that 2018 and 2019 are a combined release theme motif (a hint might be the new Globie card which looks essentially the same as the 2018 cards). This is not unprecedented as CARS 2 ran for 2 1/2 years under the Porto Corsa design motif. So, what’s unreleased from the poster or unrevealed? (there are some re-releases not yet out yet). More Next Gen racers revealed – left to go. Plus CARS 3 Bob Cutlass. 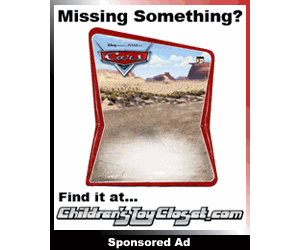 The Super Chases remaining (there are Scavenger Hunt releases not yet out but a metallic version of current diecasts are not hard to envision so they’re not called out – but they are on the poster). 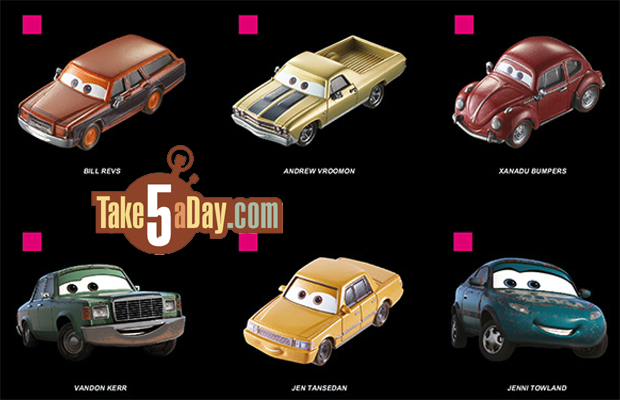 Tons more CARS 3 diecasts! And a few more Thomasville old timers. Not to crow, but in my collection, I do have production samples of both Bertha Butterswagon and Bennie Caliper, so they got at least that far in the process. 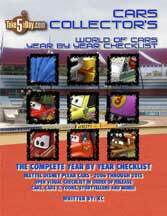 Met: It is time to revisit the Cars Blu Ray Finder Game list. 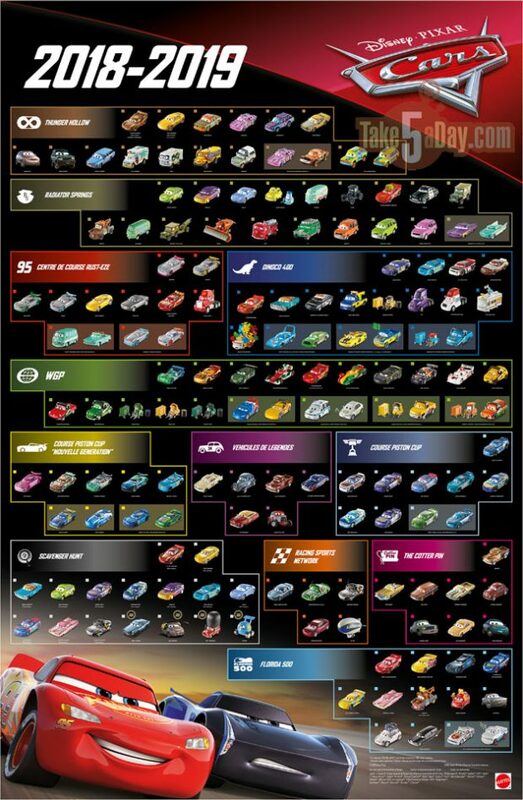 This poster makes me a bit sad that we still are missing: as of 2018 8 left my my count from the original Blu Ray list of Cars..Where are they, and why is Mattel not releasing these? (MET: Yea, other than the Autobahn (not too exciting to release a bunch of cars that line up in different colors to form a giant letter), the others should definitely be out … maybe with the release of Van Scanlane RV from CARS 1, at least we’ll get the RV’s).